The move from paper to electronic health records has left many physicians spending more time on charting and paperwork than ever before. Most doctors spend over 10 hours per week on bureaucratic tasks, which often leads to frustration and burnout. If this sounds familiar, it’s time to adopt these workflow hacks and consistently complete your clinical notes before leaving the office. These tips are adapted from Colleen Fogarty, MD, MSc, who originally shared them in Family Practice Management. 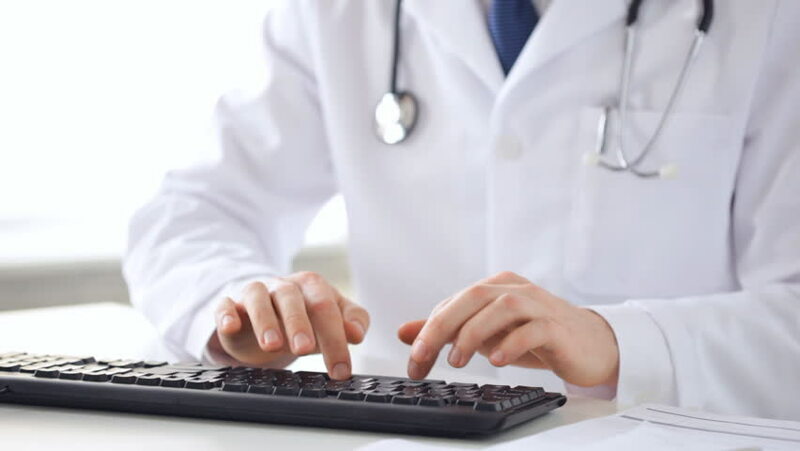 While they speak to physicians without scribes, we also suggest considering modern speech-to-text dictation software if you’re serious about efficient documentation. 1. Leverage the skills of your team members. You don’t have to document everything yourself, and strategically involving your team can save hours. For example, a nurse or medical assistant can document patient outcomes, review medications, and verify or document allergies. You can quickly review this information for accuracy and sign off on the note. 2. Complete most documentation in the room. When talking with a patient about their health history or treatment plan, summarize aloud as you take or dictate notes. Summarizing aloud is not only efficient, it can engage the patient, improve understanding, and ensure accuracy. 3. Know the E/M documentation guidelines. A 99213 level of service doesn’t require a comprehensive review of systems or a comprehensive exam. This is, by the way, the code used 61 percent of the time by family physicians seeing Medicare patients. Save time by adhering to the guidelines and documenting what’s medically necessary to complete today’s visit, and no more. 4. Use basic EHR functions. Templates, for example, are helpful for routine visits where clinical queries are standard. In complex or changing situations, manual typing – or mobile dictation – may be fastest. But if it’s flu season save yourself time by creating a basic influenza vaccine template. See more tips for how to optimize your EHR workflow. 5. Let go of perfection. The EHR can be a black hole for perfectionists and compulsive “box-checkers.” Remember the documentation guidelines and keep it simple. Not all boxes need checking and not all categories need filling on every visit. Know what matters and leave the rest alone. Be brief and focused, remembering that the clinical note is not a biography. In the plan section of the note, be clear and concise so that the next person who sees your note will be able to understand your clinical reasoning and follow the plan. Use a timer on your smartphone or watch and see how long it takes you to complete a note. Knowing your baseline, set a goal to decrease your per patient documentation time. Obviously speed shouldn’t be your only goal, and it may be valuable to spend more time with new or complex patients. These tips from Dr. Fogarty are designed to help you get through the majority of your routine documentation faster. Discover more EHR productivity hacks or learn how a mobile dictation solution could shave off hours of documentation time each week.